For most of us, the words â€œNightingale Boardâ€ call to mind that empanelled panel of eminent persons who devote valuable time to the counting and measuring and tallying and calculating of nightingales and nightingale populations, their habitats, flight patterns, wingspans, song variations and much else that is nightingale-related, sometimes tangentially. 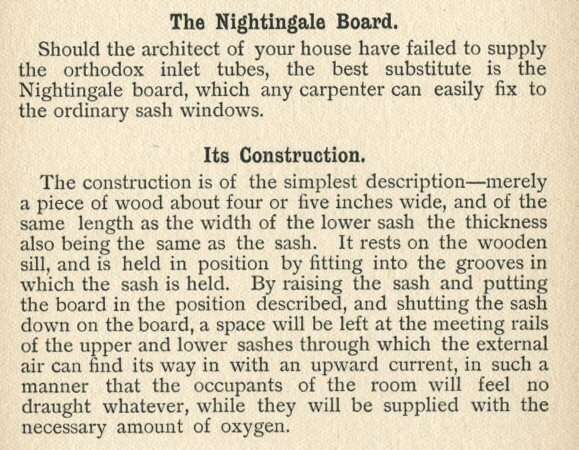 I have been meaning to write about the Nightingale Board for some time now, and regret the distractions of voodoo pig husbandry, ditch digging, aimless lolloping and despair which have prevented me from doing so. What I had in mind was to do a comparative study of the Nightingale Board and the Hummingbird Board, the latter an equally tireless band of empanelled persons who count and measure and tally and calculate all things hummingbird-related. I had, in fact, set aside this morning to attack the project with vim and verve, having farmed out the voodoo pig husbandry and ditch digging to a paid companion, made a promise to myself not to lollop, aimlessly or otherwise, and countered despair by drinking an infusion of Baxterâ€™s Perky-Uppy Expectorant Fluid. After vomiting into an iron pail, I planned to sit down and bash out thousands of words on both the Nightingale Board and the Hummingbird Board. Alas! As I wiped my chin with a rag, the postie brought a letter from Hooting Yard reader Roland Clare, drawing my attention to a completely different Nightingale Board. 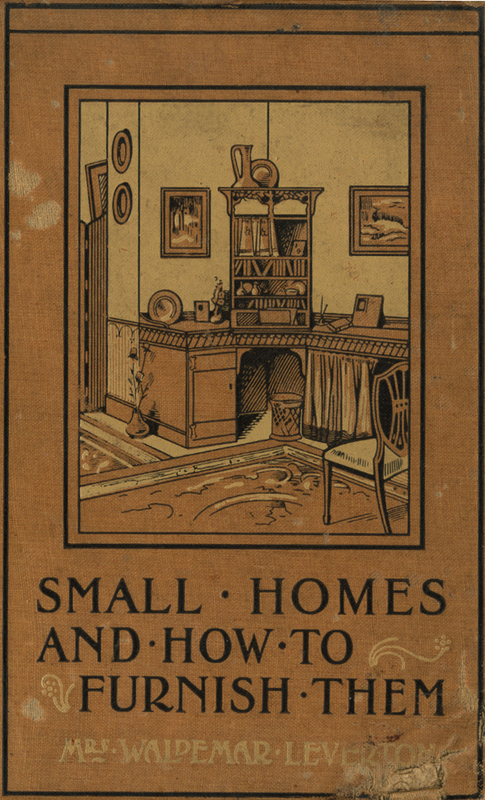 Mr Clare has borrowed from his brother a book entitled Small Homes And How To Furnish Them by Mrs Waldemar Leverton, published in London in 1903 by C Arthur Pearson Ltd. According to Mr Clare, it is thought that â€œMrs Waldemar Levertonâ€ is a pseudonym, an anagram of the name of the true author of this excellent book, the Rev. Lowland Stammerer. Intriguingly, that godly man was a founder member of the very first Nightingale Board to be empanelled in his bailiwick. He may also have been involved in the Hummingbird Board, though my researches into that must sadly be postponed yet again, for I must lollop aimlessly now, in despair, while my paid companion husbands voodoo pigs and digs a ditch. 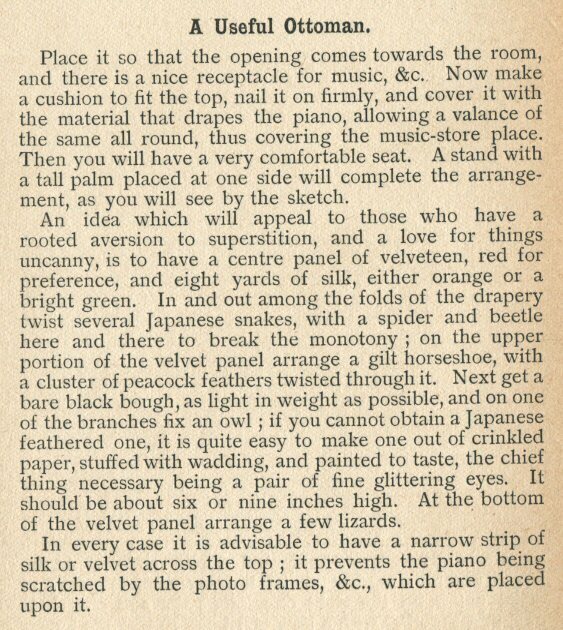 This entry was posted in Prose, Things I Have Learned by Frank Key. Bookmark the permalink. My late colleague ADL was indeed a member of a Nightingale Board and used to be responsible for reporting annually to some ornithological body about the numbers of such wildfowl in L_____ Woods, just across the gorge from C_____ where we both lived in the 19__s. A mutual friend, GLP, accompanied him on his first nocturnal foray and reported how they stole through the crepuscular woodlands to a suitable shack or hovel, then waited forty minutes or so until all tremors and echoes due to their passage had subsided; then ADL unveiled a loudspeaker and a tape-recorder, to play a recording of nightingales’ tweeting, to which the live birds were supposed to respond, allowing ADL to estimate the density of their population. Unfortunately the tape began with his tremendous voice booming the identifier, ‘NIGHTINGALE’, which resonated so deafeningly through the valley that a riotous exodus of birdlife was precipitated, as they crashed from their nests and headed in their droves for the safety of some less startling purlieu. I hope the agents of the Hummingbird Board were not similarly compromised by their own zeal. ADL and GLP should, clearly, have dedicated their attention to observing the allegedly now dwindling corncrake, which, it is said, is of a more robust disposition, and would by no means have been discomfited by such stentorian events, let alone the almost bovine chortling or bellowing that one these fellawes was especially prone to emit, which propensity renders the plausibility of any period of silence such as no doubt apocryphally described aptly fit for question.